A personal injury is a physical or mental injury caused by an accident or willful act caused by another person or entity. A personal injury lawsuit results when you file a claim against the other party to get financial compensation for your injury. To file a claim or lawsuit, you must have a personal injury that you can prove resulted from the negligence or willful action of the other party. Most people don’t know a great deal about the process for filing a personal injury claim. 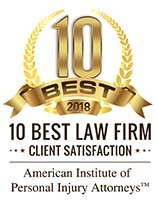 The best advice anyone can give you is to find a good personal injury attorney in your area to give you advice immediately after the accident. Not only is the process for filing a claim complex, but there are also time limits that you must meet. A personal injury is separate from property damage such as that done to your car in a vehicle accident. It is an injury that occurs to your body and is either physical or psychological. Personal injuries occur in many ways but some are more common than others. Car Accidents – Car accidents are the leading cause of personal injuries. When another driver causes an accident by disobeying the laws, you can file a claim to get compensation. California is a comparative negligence state. That means that you can get compensation for a personal injury even if you are partially at fault. It also means that if you were breaking the law at the time of the accident, you will receive less compensation. Slip & Falls – Slips and falls can occur due to the negligence of repairs, wet floors, improper safety mats, cracked pavement, and other conditions. These accidents can happen on private property but they are also common on commercial property. The most common injuries from slips & falls include sprains and fractures of the extremities, hip fractures, and back and spinal cord injuries. Falls also result in head injuries including traumatic brain injury (TBI). Treatment for these injuries is often long-term. Medical Malpractice – Medical malpractice includes misdiagnosis, improper treatment, or surgical errors. To prove a medical malpractice case, you must be able to prove that the doctor was negligent and that their negligence caused your injury. Dog Bites – Dog bites are especially dangerous to young children. The most severe bites often require surgery and cause a great deal of physical and emotional trauma. Most dog bites involve a dog that the victim is familiar with. Often, they have never bitten anyone before. Even if the dog belongs to a family member, friend, or neighbor, you should talk with a personal injury attorney about your rights. In most cases, the dog owner’s home insurance covers the cost of a dog bite. Defective Products – When a product doesn’t perform as intended or it doesn’t include adequate warning of the potential risks, a resulting injury may result in a personal injury lawsuit. The manufacturer, company selling the product, or the retailer may be liable for your injury. Workplace Accident – The majority of accidents that happen at work are covered by workers’ compensation. The law requires employers to carry workers’ compensation insurance to protect employees if they get injured on-the-job. It also protects the employer by preventing the employee from filing a lawsuit against them. However, under some circumstances, employees have the right to file a personal injury lawsuit to obtain compensation from a third party. If you are seriously injured at work, talk to a personal injury attorney to learn more about your rights. Most people don’t know a lot about personal injury laws. That means you probably have a lot of questions about your case. A good place to start is by scheduling an initial consultation with a personal injury attorney. Take all of the information you have related to the accident and your injury with you. The attorney will look over the details of your case and tell you how strong it is. The initial consultation is your chance to get to know an attorney and decide if their firm is a good fit. The first appointment is complimentary and you aren’t obligated to hire them to defend you. It’s your chance to gather information and decide whether to pursue a personal injury claim. The attorney will provide you with your options and advise you on what to do next. If you have a good case and decide to go forward with it, your attorney will help you with the process. As the injured victim, or plaintiff, you file a claim against the person or entity that caused your injury, the defendant. The defendant may be an individual, a business, organization, or agency. The complaint states that the defendant was negligent in some way, resulting in your injury. Although this step of the process is referred to as ‘filing a personal injury lawsuit’ the majority of cases never make it to a court of law. 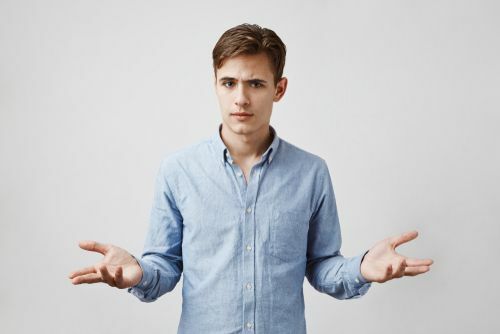 The law requires you to file a personal injury claim within a specified period of time called the “statute of limitations.” This time period begins at the time of the injury-causing accident and it differs from one state to the next. If you fail to file a claim within this time, you will lose your rights to compensation. The statute of limitations varies from state to state. In California, it is two years in most cases. Once you file a personal injury claim, your attorney will begin to investigate your case. At this point, you’ve already accumulated a number of documents. Accident reports filed by police or within the company where the accident and injury occurred, medical records, witness testimony, your employment information, and your medical bills are just some of the records your attorney will obtain. Your attorney will look for evidence that the other person/entity is at-fault for your injuries. He will also calculate your expenses for medical treatment, including the treatment you’ve already had and what you are likely to need in the future. In California, plaintiffs can also receive damages for pain and suffering. Your side of the dispute includes you and your attorney. On the other side are the defendant, their attorney, and the insurance adjuster from their insurance company. The insurance company is usually the party who ends up paying the settlement. They have a vested interest in disproving your case. Although they may act as though they want to help you out, leave negotiations with the other side to your attorney. If both sides come to an agreement, they will sign an agreement stating that they will not take any further action. Instead, they agree to pay you a specified amount of money in return for your not proceeding with a personal injury lawsuit. If an agreement isn’t reached, the case will go forward. 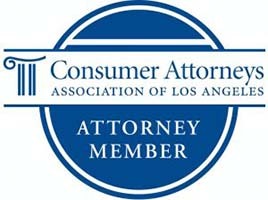 Having a personal injury attorney who is already familiar with your case is your greatest asset. Even though you will probably settle your case without litigation, you need to prepare for litigation in case you need it. Your attorney will calculate the damages in your case before negotiating with the other side. These damages include the monetary, physical, and mental cost due to your injury. The amount includes the money you need to pay for any current or future medical treatment. You may also be entitled to compensation for lost wages if your injuries resulted in a temporary or permanent inability to work. Your attorney may include pain, suffering, and emotional distress in the total damages as well. They will determine the total amount of damages you deserve before negotiating for a settlement on your behalf. Once the court date is set, the discovery process begins. During this phase, eyewitnesses, expert witnesses, and other involved parties will make depositions. There are a number of advantages to settling out of court to both sides of the dispute. Most significantly, litigation is expensive. In addition to attorney fees, there are court costs, expert witnesses, time off from work, and other expenses that add to the overall cost. Sometimes the depositions and payments for expert witnesses are required upfront. In other cases, these and other court costs aren’t due until a settlement is reached. The longer the case lasts, the more expensive it is. If you lose the case and then appeal it, the cost is even greater. A lawsuit and appeals can take years to resolve. A personal injury case is a civil case, not a criminal one. In California, either the plaintiff or defendant has the right to appeal the outcome in a personal injury case. Even if the court awards you the damages you ask for, the other side can appeal the decision. If you settle the case without going to court, you don’t have to worry that the other side will back out of the agreement. Once they sign the agreement between you, they are legally bound not to follow the terms of the agreement with no further action. Another risk for you in going to court is that you don’t have any control over the outcome. As the plaintiff, you have to accept the outcome and the amount of compensation the court decides is fair. If you settle without going to court, you don’t have to agree to an amount that isn’t fair. Liability and damages are unpredictable when you go to court. There are no guarantees of the outcome. All personal injury cases are different. In some, it is easy to identify the at-fault party. Others are more difficult to determine. Your attorney will negotiate the best possible settlement for your case. That doesn’t mean settling for whatever the insurance company offers to pay. If you have a good chance of winning your case, the attorney may advise you to go to court to get a better settlement for your needs. Many people never imagine that they would file a personal injury claim or lawsuit until an injury disrupts their life. Personal injuries vary in severity but even seemingly minor ones can take time and money to heal. When the injury is serious, health insurance isn’t enough to take care of the entire cost of medical bills. People often fail to think of the cost of co-pays, deductibles, and uncovered costs. When a personal injury occurs, you need time to get medical treatment and heal. That’s time away from your job at a time when losing your income hurts the worst. A personal injury lawsuit is an option to get the compensation you need to pay your medical costs. It can also cover your lost wages while you can’t work. The most important thing you can do to win your personal injury claim is to follow the advice of your attorney from the start. Everything you do and don’t do from the start will impact your claim. Your lack of experience dealing with legal claims and insurance companies makes you vulnerable to the insurance company’s tactics. Your attorney will help you avoid the traps that they set for you. Some of these include trying to get you to settle for a lot less compensation than you deserve. If the insurance adjustor or anyone from the other side of the lawsuit tries to contact you, refer them to your attorney. Remember, they’re on the other side of the lawsuit. They want to pay as little in compensation as possible. Don’t assume that you don’t have a legitimate personal injury case because you think you are at least partially to blame. Even if it is determined that you are partially at-fault, you can still get a significant amount of compensation. For example, if your total damages are $100,000 and you are 10% at-fault of the accident, you will still receive $90,000. A number of factors will determine whether you have a valid claim and if pursuing a personal injury lawsuit is the right choice for you. Contact Krasney Law to schedule a complimentary consultation with an experienced personal injury attorney. Let the personal injury specialists in San Bernardino evaluate your personal injury case. 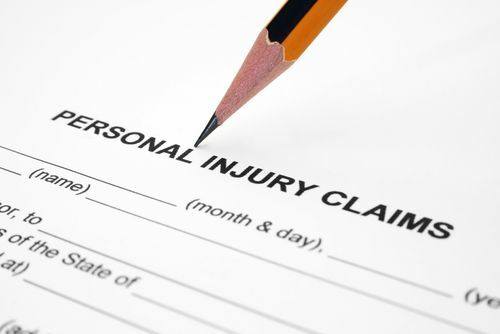 Next Post: Average Personal Injury Settlements: How Much Can You Expect to Receive?